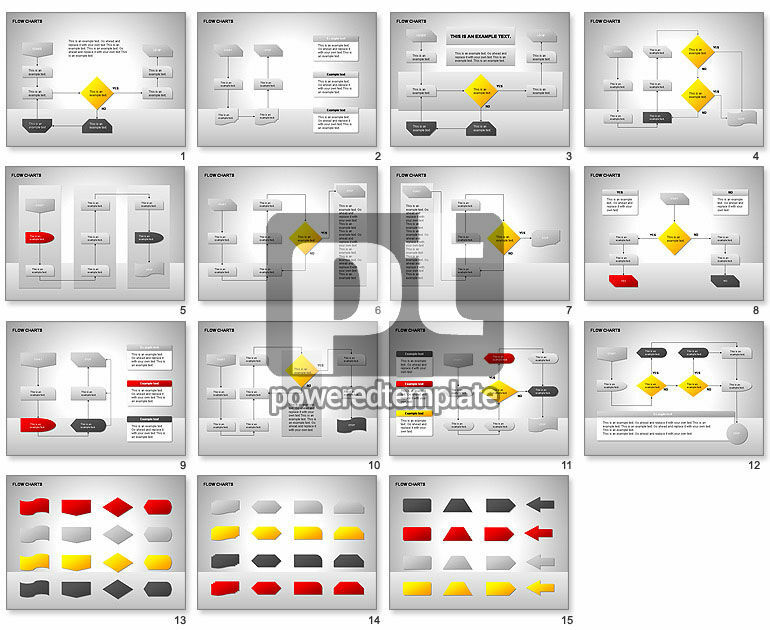 These presentation slides 26851 are complete compatible with Google Slides. Simple download PPTX and open the template in Google Slides. Nice collection of diagrams is a good help for presentations on processes, block-diagrams, dependent parts, cycles, staged processes, order, conditions, key parts, projects and programs, etc.